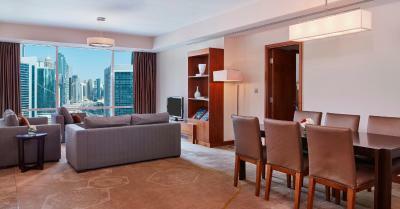 Lock in a great price for Intercontinental Doha - The City – rated 8.7 by recent guests! Cleanness big room the hospitality over kindness of the stuff and the management. Really great, I liked everything there, Hope to come back again. The people was very Accommodating and friendly and with amazing smiles. I come through once a quarter so know what to expect. Size of guestroom and bathroom was very nice. Comfortable bed. The hotel is cozy & clean . Staff very friendly. Our room had a very nice view of the city and the staff was extremely helpful. It is about a half and hour drive from Hamad International Airport and it is quite easy to order a taxi to reach the hotel from the airport. The hotel staff can order a taxi for you in the morning to return to the airport. The staff was friendly and helpful, I ordered baby bed and extra blankets they directly send it to my room and I lost my room key , when I was going to the reception to ask them to vive me other key on of the staff came to me before I reach the reception and asked me if I need any help and I told him about my issue, he told me to sit in the lobby and he will go to the reception and bring for me need key, they are really helpful, sure I come again. 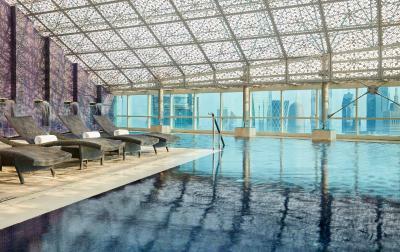 Intercontinental Doha - The City This rating is a reflection of how the property compares to the industry standard when it comes to price, facilities and services available. It's based on a self-evaluation by the property. Use this rating to help choose your stay! 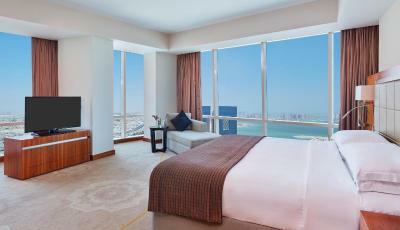 Located in Doha’s West Bay, this 5-star hotel offers modern accommodations featuring flat-screen TV. 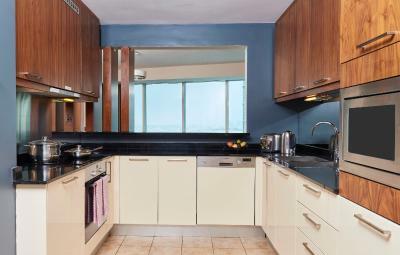 All suites include a kitchen. There is a state-of-the-art fitness center and an outdoor pool. City Center Mall is across the street and Souq Waqif is a short drive away. 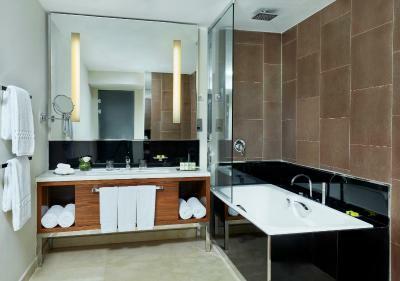 The air-conditioned rooms at InterContinental Doha The City have a private bathroom stocked with luxury toiletries and a hairdryer. Some rooms include a separate living room or a view of West Bay. Guests can enjoy the hotel’s four innovative restaurants serving international cuisine and three lounge bars, including the highest lounge in Doha boasting stunning views of the Doha skyline. Guests can relax in the sauna or hot tub after a workout at the outdoor sports court. They can also pick up souvenirs at the hotel’s gift shop. 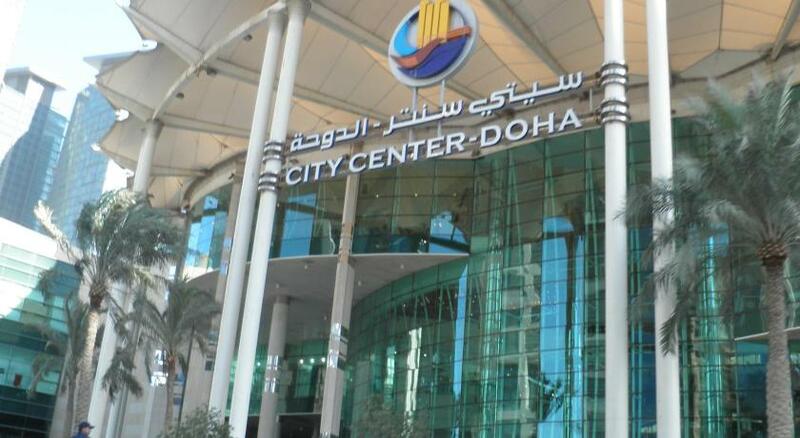 Diplomatic Street and the Doha Exhibition and Convention Center are just 5 minutes by car. Hamad International Airport Doha is 20 minutes from the InterContinental Doha The City. 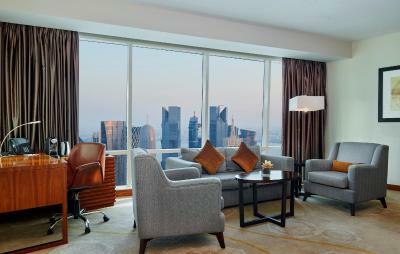 When would you like to stay at Intercontinental Doha - The City? Extra spacious and modern room with a flat-screen TV and a DVD player. It features a bedroom and a separate living room. A modern and spacious suite with a separate living room and dining area. It also offers access to the Club lounge, which includes a restaurant and a business center. This suite offers complimentary breakfast. Featuring views of the city and West Bay, this modern, air-conditioned room has Wi-Fi, an iPod docking station, complimentary tea and coffee-making facilities and a private bathroom. A modern, fully furnished suite including a separate dining and living room. This suite comes with complimentary breakfast and access to the club lounge. 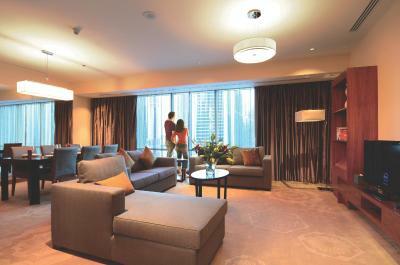 This air-conditioned suite features a living room with a dining area and a flat-screen TV. The kitchen includes a microwave, an oven and a fridge. Free toiletries and a hairdryer are provided in the bathroom. Featuring a luxurious setting, this spacious, air-conditioned suite has free Wi-Fi, a separate living room with a flat-screen TV and an iPod docking station. It includes a private dining room and a full kitchen. The bathroom has a shower and complimentary toiletries. 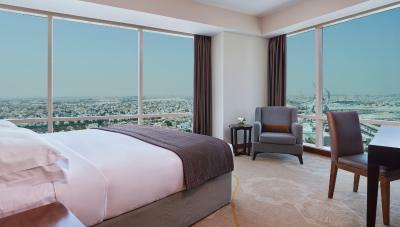 This spacious, air-conditioned room offers a view of the Doha skyline. Modernly decorated, it offers complimentary Wi-Fi and a coffee maker. 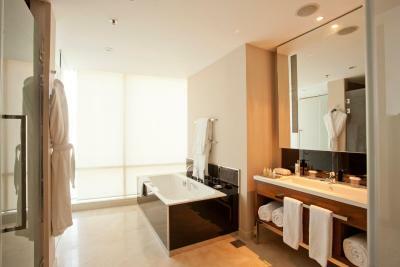 The bathroom includes a bathtub or shower and free toiletries. This individually decorated, spacious suite has a separate bedroom, a lounge and a dining room complemented with views of West Bay. This individually decorated suite has a king bedroom connected to an adjacent living and dining room. It features complimentary free Wi-Fi and an espresso machine. Featuring a luxurious setting, this extra spacious, air-conditioned suite has free Wi-Fi, a separate living room with a flat-screen TV and an iPod docking station. It includes a private dining room and a full kitchen. The bathroom has a shower and complimentary toiletries. Featuring a luxurious setting, this air-conditioned suite has free Wi-Fi, a separate living room with a flat-screen TV and an iPod docking station. It includes a private dining room and a full kitchen. The bathroom has a shower and complimentary toiletries. This double room has a satellite TV, bathrobe and electric kettle. 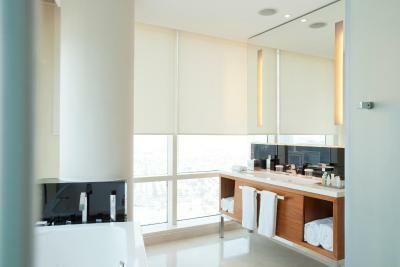 House Rules Intercontinental Doha - The City takes special requests – add in the next step! Intercontinental Doha - The City accepts these cards and reserves the right to temporarily hold an amount prior to arrival. Please note for early check-in requests, 50% of the room rate will be applied as an early check-in fee. Extra beds are subject to availability and additional charges apply. Nothing much to complain, I think the hotel needs more advertisements and offers. Outside Windows dirtiness around the swimming pool . Outside Windows dirtiness in the room . Great location,beds are really comfortable and toilet is big, Overall cozy rooms with nice view on the high floor, Fantastic swimming pool on top roof, very professional staff and ready to help anytime, wide range of varieties in breakfast and fresh food. 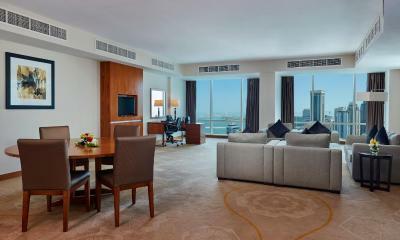 I'll strongly recommend intercontinental the city for all my friends who are planning to visit Doha. Thanks for the Management! The cleanliness of the room because the shower smells urine and there were some small plastics on the floor. The staff should be more friendly and approachable especially for the new guests. 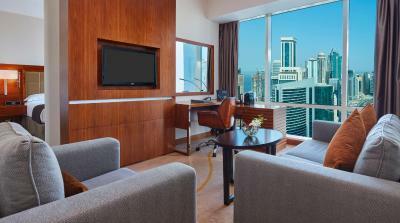 I love the location as it is very near to corniche and walking distance to City Center. I also love the facilities especially their jacuzzi. The surrounding area has a number of buildings under construction. Large luxurious accommodation with king size very comfortable bed, large bathroom with walk in shower and a separate bath tub. Good free wifi and great view. I only stayed for 2 nights and this was a good central location to see Doha. I found the concierge to be very helpful advising what to see etc.. Really pleased I booked this hotel will stay here next time I am in Doha. Paid for 2 days breakfast while check in and I wasn’t informed that i cannot have it sent to my room. When asked if I could have it refunded for the 2nd day, the duty manager said he would refund it but when i was checking out no one was aware of this at the reception. Pillows were really bad and when asked for another pillow, housekeeping sent even worse pillows that dint even fit the pillow cases. I was told the hotel is out of pillows. Also when i checked out, i clearly told the indian girl at reception my room number to clear the mini bar dues but she let me pay for another guests room because she wrote the wrong room number. This I noticed when i got home and checked my bill given by the hotel.